So why am I writing about this on The Gardener’s Eden ? Well, even though I am currently childless, I really like kids and I think about their future all the time. As a horticulturalist, I worry about the way we treat our earth today, and what we will leave for our children and the children of tomorrow. For better or worse, we are leading the generations that follow us by our own example. We reap what we sow. 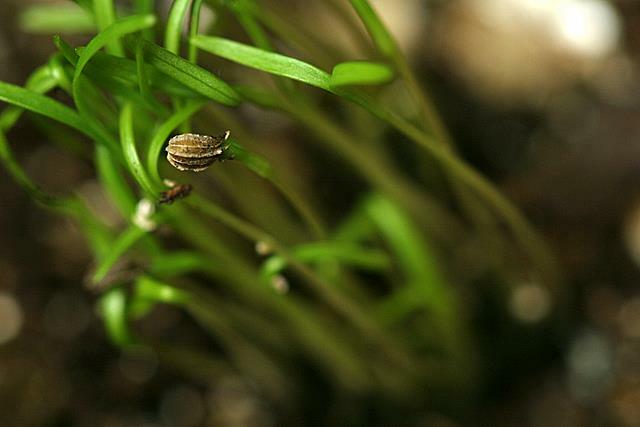 What kind of seeds are we planting, if we’re planting them at all ? 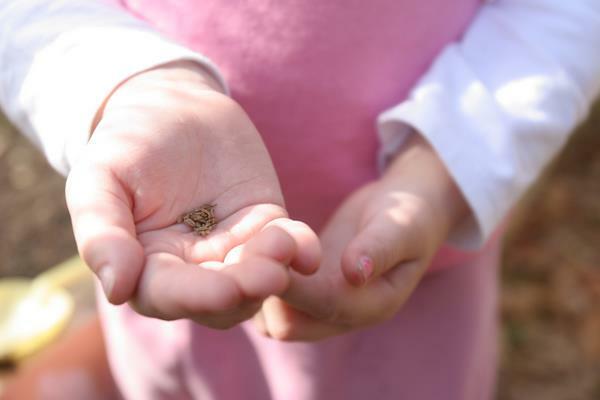 Do you want to encourage a love of nature and gardening in the next generation? Why not start some seed indoors with a child you know. 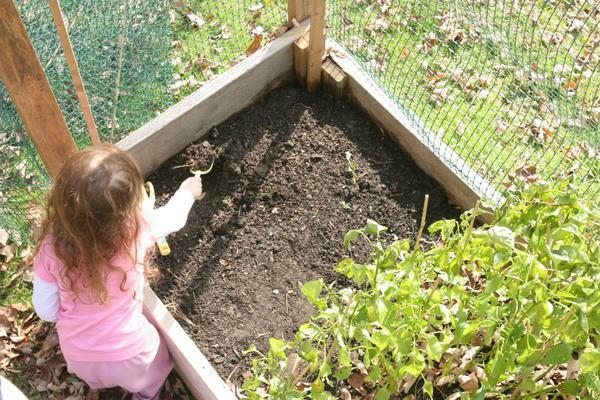 If the gardener is very young, (like my friend Dharma, pictured here in the garden she planted with her mom and dad), choose something simple and fast germinating, like sunflower, zinnia or marigold seed. Try not to complicate matters too much. Get a bag of seed-starting mix and a few trays of pots, and/or recycle some milk cartons of your own! Remember, the idea here is process, not product. 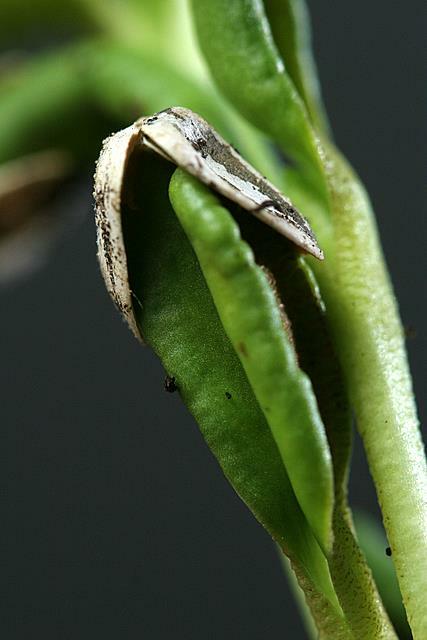 Focus on the miracle of germination, and the beauty of photosynthesis, not blue-ribbon plants. Water the seeds and watch them together; sharing the joys and rewards of effort, diligence, discipline and patience. Need some help explaining how things work? Pick up a copy of the Brooklyn Botanic Garden’s Gardening with Children, Sharon Lovejoy’s Roots, Shoots, Buckets & Boots, and/or Patricia Kite’s Gardening Wizardry for Kids. These books are filled with easy and inexpensive project ideas and simple scientific explanations for children. Looking for more ? I’ll be back with other kid-friendly gardening ideas soon – but for now, check out my earlier post on gardening books for children here. Article © 2010, Michaela at The Gardener’s Eden. Photographs © Tim Geiss. All rights reserved. Do you enjoy this blog? You can help support The Gardener’s Eden, at no additional cost to you, by shopping through the affiliated links on this site. A small percentage of every sale will go toward the maintenance of The Gardener’s Eden page. Thank you! 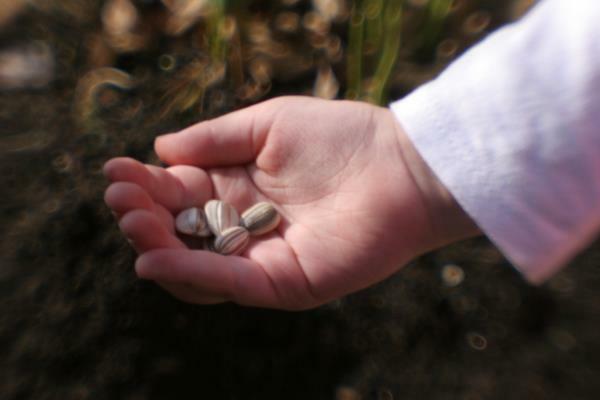 You are currently reading Sowing the Seeds of the Future: Starting Early, In More Ways Than One… at The Gardener's Eden.